The ORS-5 mission, also known as SensorSat, is operated by the Operationally Responsive Space Office under leadership by the U.S. Air Force. ORS-5 is a Space Situational Awareness Mission serving as a gap filler between the Space-Based Space Surveillance System SBSS-1 pathfinder satellite launched in 2010 and an operational follow-on SBSS satellite which has not yet been funded and is therefore not expected to fly until the early 2020s. The 113-Kilogram ORS-5 satellite, hosting a high-fidelity optical sensing instrument, will circle the Earth 600 Kilometers in altitude, right above the equator from where it will monitor satellites in the Geostationary Belt, 35,000 Kilometers above its orbit where the satellite’s orbital speed matches that of Earth so that they can remain locked in a fixed position above the ground. Geostationary Orbit is arguably the among most important orbital regimes, populated by the world’s television, telecommunications and data satellites as well as meteorological craft, military and government communications assets, and spy satellites (particularly signals intelligence). 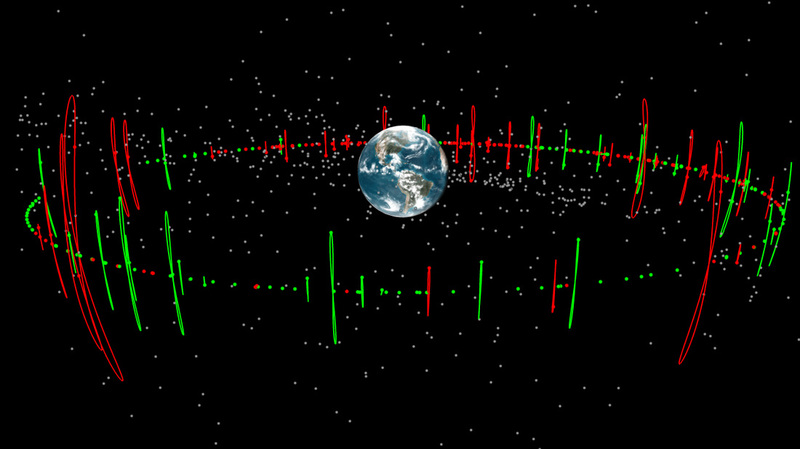 Given its importance for national security, there is a strong desire to monitor activity in Geostationary Orbit to identify threats arising from a large population of debris and zombie satellites as well as potentially purposeful action by a foreign entity to impede the operation of U.S. space assets in this vital orbital regime. 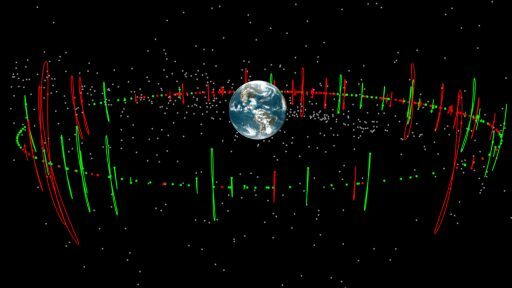 To that end, GEO is monitored extensively using ground-based radar and optical tracking assets as well as space-based systems operating from different orbits to characterize activity in the Geostationary Belt and provide advance warning of any potential threats. 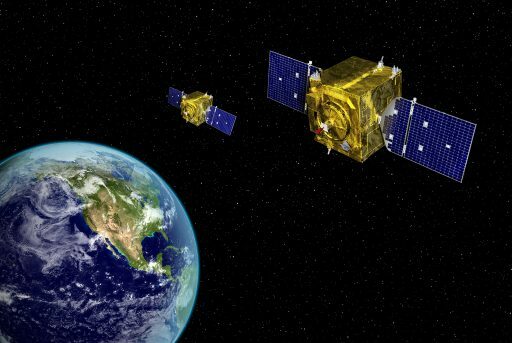 Two pairs of “patrolling satellites” were deployed to Geosynchronous Orbit in 2014 and 2016 under the Geosynchronous Space Situational Awareness Program. 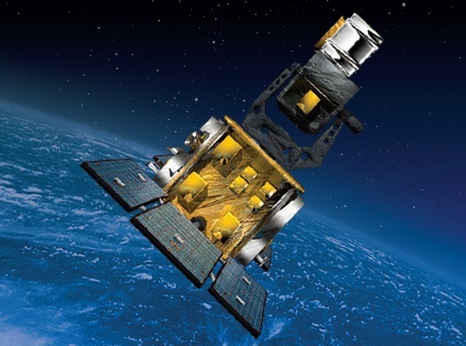 The satellites – outfitted with visual Space Surveillance Sensors and radio characterization equipment – patrol above or below the GEO belt to provide precise orbital tracking for objects of interest, monitor a satellite’s activity using the electro-optical payload and track radio emissions from satellites as an indicator of satellite identity and activity. The 700-Kilogram GSSAP satellites have extensive maneuvering capability and can link-up with any object of interest for close-up characterization; however, due to their proximity to the GEO belt, they can not provide an overview of activity ongoing throughout the GEO regime. SensorSat, placed into Low Earth Orbit right below the GEO Belt, will be able to stare up at GEO and collect tracking information on every sizeable object in GEO 15 times per day (on every orbit). The mission has three core objectives: a) demonstrating cost-effective technology that is sufficient for geosynchronous Space Situational Awareness, b) retire risk for a future operational Space Situational Awareness Program, and c) develop and demonstrate ORS enablers and principles through a mission with a responsive, taskable sensor capable of supporting event-driven operations. 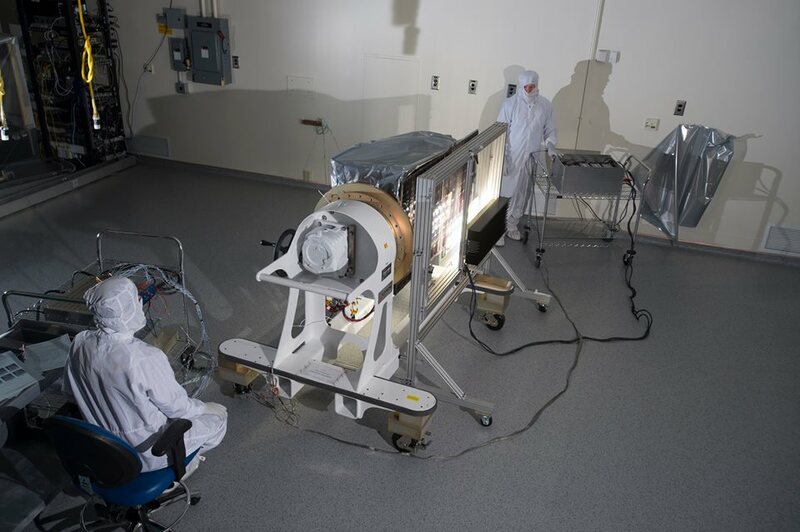 The SBSS pathfinder satellite launched in 2010 came at a total program cost of $823 million, featuring a one-metric-ton satellite built by Boeing and Ball Aerospace coupled with an articulated telescope built by Northrop Grumman. 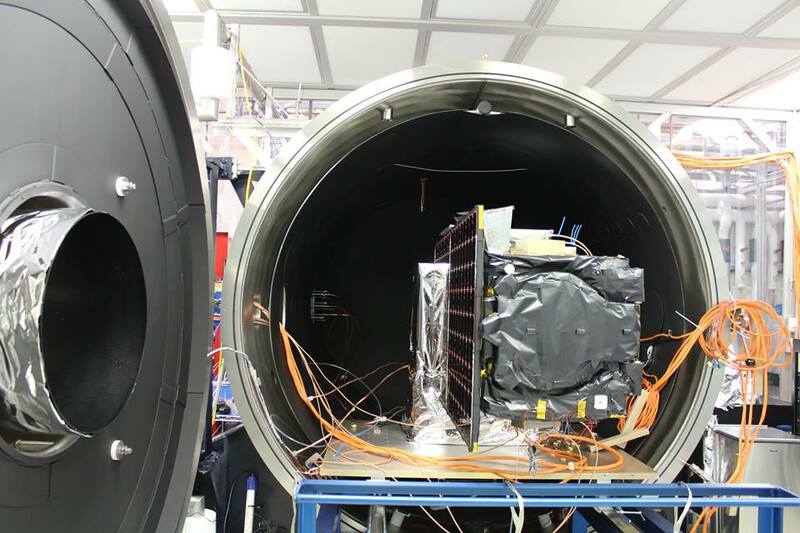 SBSS-1 hosted a 30-centimeter telescope on a two-axis gimbal feeding a 2.4-megapixel image sensor. The mission operated from a Sun Synchronous Orbit, meaning the satellite would intersect the equatorial plane twice for every lap around the planet, allowing each object in GEO to be imaged at least twice per day. SensorSat, operating in a zero-degree orbit, will remain directly under the GEO Belt at all times, permitting continuous observations. The ORS-5 project comes with a price tag of just one tenth of the SBSS mission with $49 million allocated for the satellite, $11.3 million for the ground system, and $27.2 million for the Minotaur IV launch vehicle & Orbital ATK launch services. The SensorSat spacecraft was developed and built by the Massachusetts Institute of Technology /Lincoln Laboratory and has been conceptualized to implement a high degree of autonomy in a low-cost framework, leveraging miniaturized satellite systems, a small satellite launch vehicle and an existing ground infrastructure at the Multi-Mission Space Operations Center. 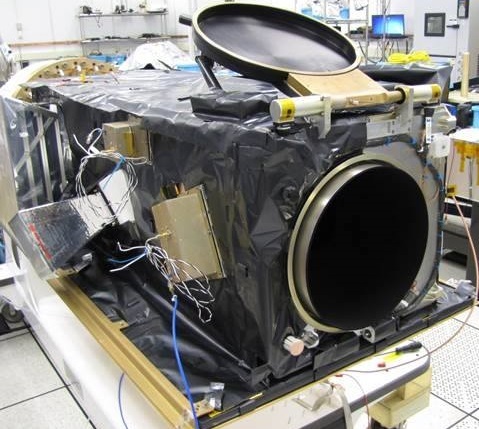 SensorSat represents a highly integrated package with system components integrated around the purpose-built instrument and its large stray light baffle. The satellite measures 1.5 meters in length and weighs around 113 Kilograms; all satellite components were sourced from commercial space vendors with the notable exception of the Camera Electronics Board that was designed and built at MIT. Much of the satellite’s specifications and capabilities of the optical imaging system are classified. 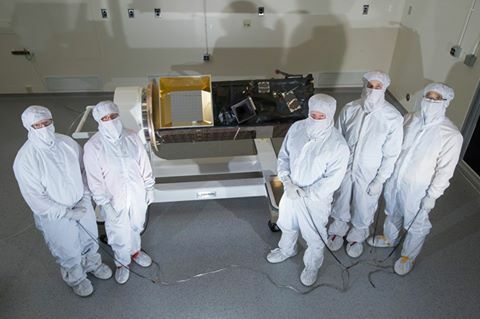 SensorSat employs the Geometry Optimized Space Telescope (GeOST) concept developed at Lincoln Lab which calls for the satellite to fly in an orientation that points the telescope toward the GEO Belt on what is referred to as a “magic angle” that permits celestial objects to appear as fixed to discern them from Resident Space Objects at GEO altitude. The GeOST concept has been developed specifically for a low orbiting satellite in an equatorial orbit. Rather than staring straight up to the GEO Belt, the satellite points to a portion of the belt well ahead of its own position. The location is selected so that the sensor’s velocity perpendicular to its line of sight exactly matches the target satellite velocity perpendicular to the vector joining the sensor and target satellite. This geometry causes the image of the target satellite to remain momentarily motionless on the focal plane, permitting greater integration time which enables more sensitive imaging. 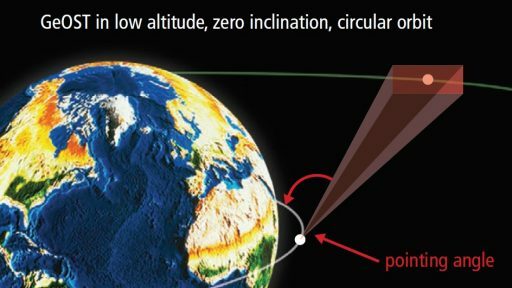 If pointed straight up, the satellite would need a detector ten times larger compared to what is possible with GeOST. Per the operational mission concept, the satellite will fly in an Earth-centered fixed (ECF) orientation and its orbital motion will sweep around the GEO Belt with only short interruptions during solar exclusion angles. The craft’s attitude control system makes use of the imaging instrument as part of a “sensor in the loop” technique to ensure it accurately maintains the magic angle. As a non-propulsive satellite, ORS-5 will be subject to a slow orbital decay which will require the satellite’s orientation to be adjusted over the course of its life to maintain the magic angle as a function of orbital altitude. The novel flight geometry is combined with a TDI (Time Delay Integration) technique in the sensor’s camera system that reads out subsequent detector rows and shifts their practical measurements to the adjacent row synchronously with the motion of the image across the detector. This allows for continuous imaging and readout from the sensor for non-stop imaging of the GEO Belt down to very faint objects like small debris pieces. SensorSat is targeting an initial operational orbit 600 Kilometers in altitude at zero inclination, taking 104 minutes for one lap around the planet that allows for high awareness of change activity in the GEO regime. The mission is expected to have a duration of at least three and a half years with emphasis on the operational aspect of the mission over the technical demonstration. 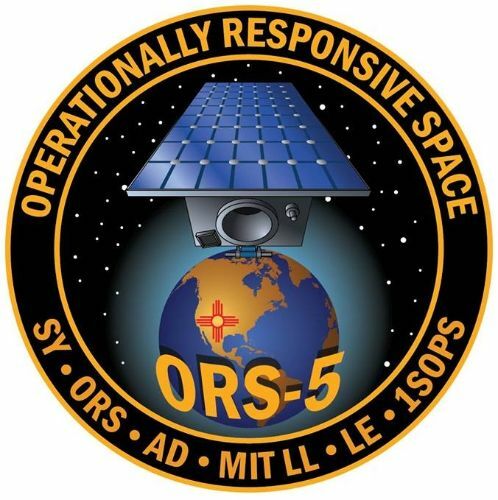 The ORS-5 ground segment will be located at Kirtland Air Force Base for the launch and early orbit phase before transitioning to Schriever AFB for regular mission operations. SensorSat uses the Multi-Mission Space Operations Center running the Neptune common ground architecture operation system with a purpose-built extension by Lincoln Lab for mission data processing. Special tasking and data analysis will be completed at the Air Force Satellite Control Network. ORS-5, due to its unique orbit, can only use the Guam and Diego Garcia AFSCN ground stations with Hawaii in a limited backup role for the event of a loss of signal at the primary stations.